• Private, Independent Patient Advocacy is a fast growing profession. Cited as one of the fastest growing professions of the upcoming decade, private patient advocacy is, indeed, growing rapidly. The healthcare system has changed to the point where it is no longer recognizable. As patients become more fearful they aren’t getting the care they need, or are being asked to pay more than they can afford, they and their caregivers are increasingly reaching out to private, independent patient advocates for support. You may recognize private patient advocates using different terms: health advocates, patient or health navigators, case or care managers, doulas and others; all names that represent someone who works one-on-one and independently with patients as individuals. 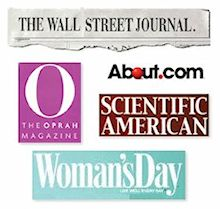 Read more about the growing profession from the Wall Street Journal, Forbes Magazine, US News & World Report, the New York Times, Vice News, and O Magazine. • How do private advocates help patients and caregivers? Some advocates focus on one particular disease or approach to care. For example, an advocate might work only with cancer patients or the elderly. Another advocate might focus on complementary and alternative treatments, or on end-of-life decision-making. Still others have nothing to do with care itself, instead focusing on the billing and claims aspects of a patients’ medical care, or legal filings for disability. The overall goal of advocates and care managers is to provide patients and caregivers with the support and education they need so they can make their own decisions about their next steps. Whether that is helping to coordinate their care among several providers, sitting by their bedsides to keep them safe in the hospital, helping them interpret difficult medical information and terminology, or reviewing their medical bills to find errors or duplications – the advocate is the one person who has the background and knowledge needed to make the patient’s journey as smooth as possible, without the inherent conflict-of-interest that arises within the profit sectors of the system. The benefit to both patients and caregivers is peace of mind, and the ability to put their efforts toward healing, or supporting their loved one who needs care, knowing a professional is handling the important details. • Why do patients need advocates? I thought doctors, nurses and other providers offered those types of care and services? Doctors, nurses and other providers find constraints on their work and abilities that preclude them from being devoted to one patient’s needs. Their time is limited by the patient’s insurer, and few patients ever get everything they need from a provider. Those providers work with hundreds or thousands of patients, dozens every day. A private advocate focuses on that one patient at a time who needs his or her help. Clinical providers are employed by a practice, a hospital, or another providing facility. They derive their paychecks from that organization, which in turn is paid only the agreed-upon reimbursement from insurance. They are therefore beholden to the payer organization first – and their patients second. They are further constrained by what an insurer allows them to prescribe or order. At the end of a long workday, a traditional provider goes home, then starts again the next day with another several dozen more patients, trying to solve their problems. A private patient advocate may be on call 24/7, and the next day, is still helping that one patient who has ongoing needs. • Aren’t there patient advocates in hospitals and insurance companies? How are private advocates different? Just as providers have an allegiance to their employer, so do hospital and insurance company advocates. They must dance to the tune of their paycheck writer. The only person who can and will focus solely on the patient is a private, independent patient advocate. • Who pays for the advocates’ services? Independent, private professional advocates are usually paid directly by the patient or his caregiver. Some employers have begun providing patient advocacy support to their employees, and some labor unions and churches are providing this type of support as well. As of 2015, reimbursement rules began to allow some licensed providers reimbursement for some advocacy services related to chronic medical conditions through Medicare, but no private health insurance is known to reimburse for these services. Not everyone can afford to hire an advocate, but many can and do. A good metaphor is to think of private advocates the way some families regard private education or after-school programs. Little Johnny or Susie may not get music lessons or enough sports time in school – both arguably vitally important for their upbringing. Or maybe they need tutoring to pass history or math. When necessary, parents pay for that additional support and education separately, to enhance their children’s educations. Likewise, when a patient faces difficult debilitation or a life-compromising (or ending) illness, a private advocate may seem very affordable, and necessary. When a patient or family faces financial devastation from medical bills that are too high, then a private billing advocate may be financially lifesaving. When a patient is fearfully facing life and death decisions, the cost of an advocate who can support the patient’s decision-making seems meaningless. No price can be put on peace of mind. • Are jobs available for those who might choose patient advocacy as a profession? This organization, The Alliance of Professional Health Advocates, addresses private, professional advocacy – those advocates who are self-employed, or work in small businesses, independently providing services to individuals. For those who are willing to go into business for themselves, or join forces with someone who is building a private advocacy business, the sky is the limit. There are many other forms of advocacy as well, including hospital patient advocates, advocates who work with various disease organizations (often as volunteers) and others. There are some jobs available in those areas, but they are not considered to be private professional patient advocates. More information about advocacy jobs in general can be found in So You Want to Be a Patient Advocate? Choosing a Career in Health or Patient Advocacy. • How many advocates are there across the United States? An educated guesstimate of the numbers of privately paid professional advocates would be 500 or more in the US. Hundreds may be training to become advocates. Still hundreds more are considering advocacy as a career. While the growth is not as robust, advocates are also establishing successful practices in Canada, Australia, England and in other corners of the world. We predict the profession will grow 100% to 200% per year over the next decade as more and more citizens demand their services, and as the number of advocates rises to meet the need. Aging baby-boomers, confusion in the politics of healthcare, skyrocketing out-of-pocket costs, and the increasing needs of individuals trying to obtain care will fuel the growth of the profession. As of 2018, there aren’t enough advocates to meet the demand in either the United States or Canada. The fastest growing regions for the profession are Boston, Washington, DC-Virginia-Maryland, New York City-New Jersey, most cities in Florida, plus Chicago, Phoenix, Tucson, Seattle, the Bay Area and Southern California. Most areas of the US and Canada know little or nothing about private patient advocacy. All areas of both countries hold incredible potential for the right person to decide to become a private, independent advocate. • What kind of background, experience or training do private advocates have? People choosing private advocacy as a profession come from many different backgrounds, and have many reasons for doing the work they do. Some have been nurses or doctors, became frustrated with the system that depends on cost-cutting and reimbursements, and have decided to shift their focuses to patients as individuals, providing non-medical navigation-related services. Other advocates have never worked previously in healthcare; instead they found themselves helping a parent, a child, a friend, or themselves navigate a medical problem, and now find they are interested in doing the same for others. To fill the gaps for all those choosing advocacy, and therefore the many different kinds of training they will need, a number of organizations and universities have developed courses and programs for potential patients’ advocates to learn their new trade. • Are patient advocates licensed or certified in some way? In 2018, the first nationally (internationally) recognized and respected certification became available to those who wished to add a credential to their achievements. The Patient Advocate Certification Board (PACB), which began its work in 2012, made its first certification exam available. Its work was accomplished with the input of hundreds of stakeholders, making it the only certification of its kind for health and patient advocates. The emphasis of the certification is a strict set of standards and ethics, always focused on, with allegiance to, the patient. Those who passed the certification exam began to add the initials “BCPA” after their names (Board Certified Patient Advocate.) You can find a master list of certified patient advocates here. Many educational organizations offer certificates upon completion of their advocacy programs. However, they are not nationally developed or recognized such as the certification developed by the PACB. One of the most important aspects of patient advocacy is its strict adherence to its code of ethics. Many subscribe to the Health Advocate’s Code of Conduct and Professional Standards. As of 2019, no states or provinces license patient advocates. • How are patient advocates regarded by doctors, nurses and other providers? There is a range of reaction from providers. Those who have never worked with an advocate before have many questions, and may be reluctant, at first, to collaborate with one more person in the doctor-patient relationship, especially one they don’t know. Those doctors and nurses who have worked with advocates recognize what an advantage it is to THEIR work. They spend less time having to re-describe or reiterate their instructions to a patient, knowing the advocate is there to facilitate with the patient. Instead of spending their appointment time with explanations or long descriptions for patients, they can rely on the advocate to do that work for them. They further know there is an increased possibility of adherence; patients will be more apt to follow agreed upon decisions. Medical professionals who have worked with patient advocates are some of the biggest champions of the advocacy profession. Many private advocates report that doctors and nurses are recommending their patients connect with an advocate to improve the journey for all. Hospitals have learned to love advocates, who are able to go home with the patient, make sure the patient follows discharge instructions, and potentially keeps the patient from returning to the hospital within the 30-day time period that becomes expensive for the hospital. • Where can you learn more about a career as a health or patient advocate? 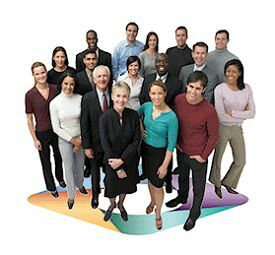 There is also a great deal to be learned through a PACE membership with The Alliance of Professional Health Advocates. Additional resources can be found on the Health Advocate Resources website. Do you have a question about private patient advocacy not answered here?